What is the Amex Rewards Credit Card? One of the downsides of cancelling an American Express Preferred Rewards Gold or Platinum charge card is that you are required to empty out your Membership Rewards points account. The Preferred Rewards Gold credit card is free in year 1 and comes with a sign-up bonus of 20,000 Membership Rewards points (read my Preferred Rewards Gold review here). Platinum comes with a sign-up bonus of 30,000 Membership Rewards points (read my Platinum charge card review here). These convert 1:1 into Avios, Virgin or many other airline schemes or at up to 1:3 into various hotel schemes. Having to close your Membership Rewards points account can lead to a dilemma over when to cancel. You will be paying £11.66 per month after the free first year to keep an Amex Gold active and £37.50 for a Platinum. However, this allows you to keep your Membership Rewards points where they are. If you are forced to transfer them because you close the account, you may regret it later. Because Amex points can be transferred to many different airline and hotel partners, they are more valuable than airline or hotel points. You shouldn’t convert them until you need them. You can apply for the little-known American Express Rewards Credit Card. This card has NO ANNUAL FEE and lets you collect Membership Rewards points. For simplicity, I will occasionally refer to this card as ARCC as ‘American Express Rewards Credit Card’ is a bit of a mouthful. What is the American Express Rewards Credit Card? 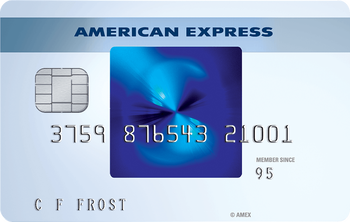 ARCC is a standard Amex-branded credit card. It has no annual fee and no substantial benefits, except for the ability to collect Membership Rewards points at 1 point per £1 spent. The first two cards require a £500 (5,000 points version) or £1,000 (10,000 points version) spend within three months to trigger the bonus. It is unlikely that many Head for Points readers will qualify for the bonus because you cannot have held any Membership Rewards cards in the previous six months. That will exclude anyone who has, or has recently had, a Gold or Platinum Amex card. Don’t worry about that. You may still want to get this card even though you won’t get a bonus. If you currently have an Amex Gold or Platinum card and want to cancel it but do not want to cash in your Membership Rewards points, this card is your answer. Apply for the Amex Rewards Credit Card. Once it is active, you can cancel your Gold charge or credit card or Platinum charge card safe in the knowledge that your Membership Rewards balance is safe. If you go for the ‘Purchases’ version, you will also get 18 months interest free credit on everything you buy. The only ‘snag’ is that you will not have reset the six month clock on being able to reapply for Gold charge or Platinum charge and receive another sign-up bonus. In order to do that you need to close down your Membership Rewards account entirely. For a lot of people, though, being able to keep your existing Membership Rewards balance alive will be more important. You can apply for the Low Rate version here (5,000 points), the Basic version here (10,000 points) or the Purchases version here (no bonus but 0% APR for 18 months). Tomorrow I will look at why, for many people, this card is a better choice than the free British Airways American Express card. Disclaimer: Head for Points is a journalistic website. Nothing here should be construed as financial advice, and it is your own responsibility to ensure that any product is right for your circumstances. Recommendations are based primarily on the ability to earn miles and points and do not consider interest rates, service levels or any impact on your credit history. By recommending financial products on this site, I am – technically – acting as a credit broker. Robert Burgess, trading as Head for Points, is regulated and authorised by the Financial Conduct Authority to act as a credit broker. OT: Has anyone had any luck with Curve increasing their limits? I hit the 10K annual limit quickly and now the card is useless. Seems very odd (they keep refusing to raise this) if they are targeting business customers?? £50k is the maximum limit on the debit version. It seems Curve like you to have several months of usage before they upgrade, however with the current customer service debacle and “copy and paste” answers to everything i would suggest you leave it in a drawer until they get more organised. Maybe tweet them and you may get through to someone with common sense. OT — does anyone know when Amex cards are again supported on Curve? He can’t give away confidences – he already said it won’t be *ALL* Amex cards. Work it out – that means premium Amex cards only. The ones that cost up to £450 per annum. OT – but are we due a Qatar Sale anytime soon? Seem to remember that they had them in October past few years.. I thought the 6 month rule had been scrapped now ?! I was under the impression it was one batch of MR bonus points (per card) in your lifetime now. Is this right ?! If I want to cancel Amex Gold Charge at its anniversary and want to retain the MR points, but already have two other Amex credit cards open (as do many HfP readers) , surely Amex wouldn’t allow another (third) credit card application even if the charge card was cancelled. Until recently I had one charge and three credit, but I’ve heard of some people having two charge and three credit. How long does an Amex referral points take to land in my acc ? 48 hours should do it. If I currently have a Green charge card on which I have been storing the MR points originally earned on a Gold card, will they just transfer across automatically if I apply for an ARCC card and then close my Green card ? Your MR account is separate to your card accounts. Nothing ‘moves across’ – your existing MR account simply stays open. Has anyone had experience of cancelling their Platinum card based on the scale of the annual fee and having it reduced? I understand from friends in Hong Kong etc, that this is commonplace with them. I’m not convinced it’ll be the same in the UK though, given the last of competition.